Sofitel Legend Metropole Hanoi’s new angelina restaurant is turning the tide on Hanoi’s entertainment and culinary scene, having opened its doors on September 15, following a top-to-toe renovation. 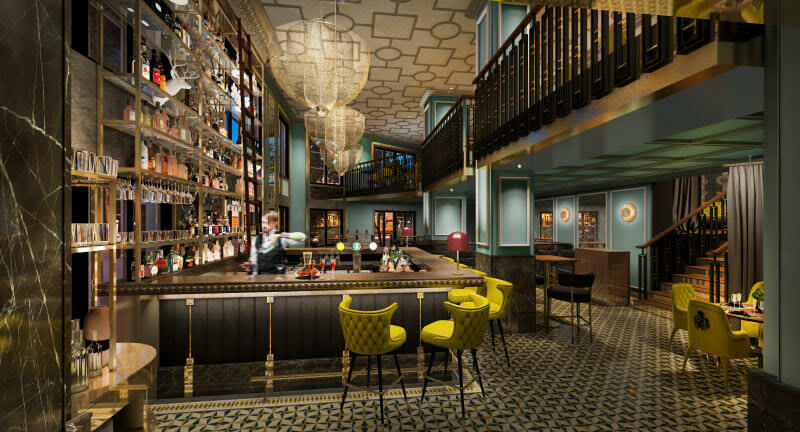 The bar, lounge and restaurant, which features a brand new concept, a new chef as well as a completely different top quality menu, has its sights set on becoming the capital’s most sought-after venue. Designed by the award-winning Karen Hay of the Hong Kong-based interior design studio, In-dulge, the re-design and total renovation heralds a new dawn for angelina. The two-story space, which boasts an eight-meter high floor-to-ceiling bar and seats up to 120 guests, features soothing hints of gold, mustard, maroon and dusty blue. On the ground-level, the elegant wood and leather bar makes a grand statement. 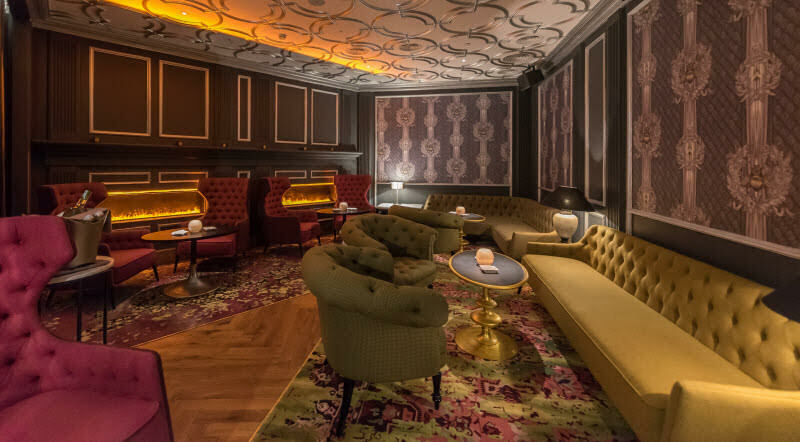 Meanwhile, a separate whisky lounge, complete with velvet wingback chairs and a roaring fireplace, lies tucked behind a charcoal curtain. On the second floor, guests are encouraged to feast in the privacy of an intimate dining area, while the open-plan design offers a stunning ambience and a clear view of the elegant bar below. Aurélien Houguet, angelina’s new Head Chef, who earned his chef stripes at many distinguished establishments including the five-star Ashford Castle in Ireland, has created a new menu for the kitchen, which will serve lunch and dinner as well as a selection of bar menu items after 10pm. Highlights from the seasonal menu include a playful twist on classic European and New World dishes, such as lobster rolls with caviar, wagyu tomahawk, Arctic snow fish, king crab, roast Welsh lamb pie, and Wagyu beef burgers topped with cheddar cheese and black truffle. 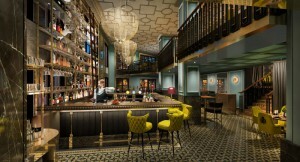 Guests can also look forward to a selection of hand-crafted cocktails, an exceptional wine list as well as the most interesting whisky offering in Vietnam. Vietnam’s most storied hotel celebrated the opening of the new angelina by an invitation-only party on September 15.